Google has announced it's support of Android apps on ChromeOS. Now you can use both Google play store and Chrome Store apps on your Chromebook. Though at this stage app support is experimental, you can definitely benefit from running some apps. In this article, we discuss how to setup your Chromebook to run Android apps. Chrome OS has undergone some of the important changes lately. One such change is it's ARC Welder integration. This integration allows the Chrome OS to run Android apps. As per the recent developer channel updates you don't even need to install ARC Welder app. As per the current tests the apps from Google play currently works on selective models of Chromebook such as - Acer Chromebook R11, Acer Chromebook R11 and Chromebook Pixel. More models will be added into the tests once the device manufacturers test the apps virtual machine on these systems. It may take the third quarter this year for the final release of this update to bring on all Chromebooks. This update is also released to the users who are running Chrome OS update 53 or above. For those who are stuck with the older update can't use the Android apps on their Chromebook for now. You have to wait till the official Chromebook channel updates in order to run the apps on your laptop. Not all the Android apps are going to run on the Chromebook. You have to make sure that you've to test apps during this phase. Some of the apps that are known to work are - Instagram, Trello, Evernote and Gmail. There are few other apps that are known to work but also get some frequent crashes. You need to wait in order for the apps to be officially being supported under the Chromebook. Future builds of the chrome OS are going to support more apps in near future. 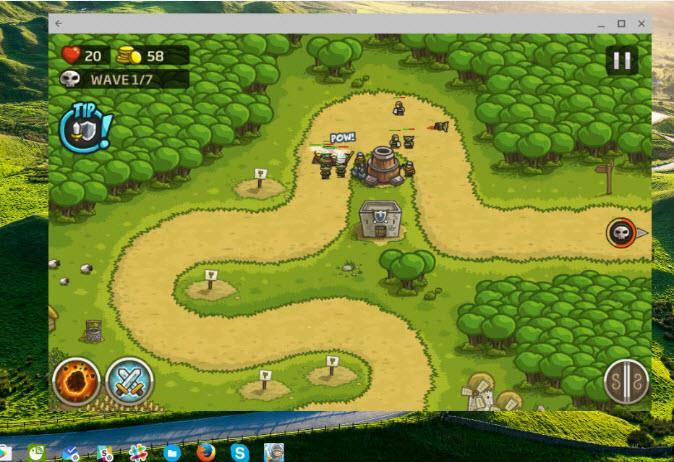 You may be able to play some of the games which are simple and are not graphics heavy for Chromebook. In order to run the Android apps on the laptop you need to switch your update channel from stable to developer channel. The releases for the Chrome OS to run Android app are visible only on developer channel. And all of this is still in the developer alpha mode. You need to switch your update channel for this to work properly. In future the stable channel may provide the patches that help the Android apps execution. Follow the instruction to switch to developer channel in your Chromebook. 1. Start your system and login to chrome account. 3. Find "About Chrome OS" option. 4. Click on "More info' and select it. 5. In more options dialog find the "Change Channel" setting. 6. Select "Developer unstable" channel. 7. Chrome OS will update it's internal settings. After the reboot your Chromebook becomes available for running the Android apps. However it doesn't stop here and you have to enable the play store manually before installing or running the apps. By default the settings in the developer unstable channel has turned off the Google Play Store. By default Google play won't be able to install and run the apps on Chromebook. You have to enable the settings that helps run the apps. Follow the instructions below in order to enable the google play app store on your Chromebook. 1. Login to Chromebook account. 3. Under "Android Apps" settings, enable the option that says "Enable Android Apps ". 4. Click on "Get Started" button. 6. Google play store will be opened in which you can login with your Google account. 7. Install the app of your choice and see if it is compatible. You may come across a lot of apps that may not run on your Chromebook. If any graphics heavy app crashes then it may also slow down or crash your Chromebook. Simply restart and then uninstall the app after reboot. This has to be tested per app basis in current scenario. As there is no central index or test results for app that run on Chromebook. Try testing the Chromebook by installing Instagram, Twitter and Facebook app. You can also check out some of the messenger apps such as WhatsApp and Telegram. These app should run on the Chromebook without any compatibility issues. Support for the Android apps on Chrome OS is still in it's alpha infancy. As the community of Chrome OS developers are working, you may find the better support for Android apps in near future. In between you can find the above method useful for running the Android Apps on Chrome OS.